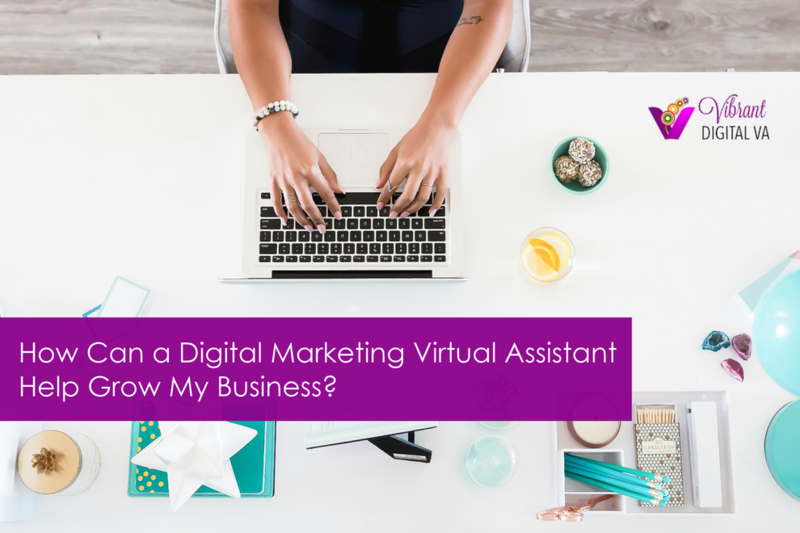 How Can a Digital Marketing Virtual Assistant Help Grow My Business? Small businesses need to be strategic in their approach to the development of their business. You can’t do everything – and you shouldn’t. A VA can reduce your cost of business because you don’t have to hire an employee and pay benefits. And you don’t have to pay for wi-fi, power, rent and equipment. A VA can save you as much as 40 percent in business expenses. These savings can be realigned to other needs within your business, such as digital advertising. A VA can help you scale your business by taking marketing off your plate so you can focus on other, more pertinent, aspects of your business. You don’t need to train a Vibrant Digital VA; we are experts at marketing online. Digital VAs will help you stay organized. With so much work on your plate, organization often takes a backseat to more essential tasks. Being organized will improve productivity and, in turn, the effectiveness of your marketing strategy. White papers, ebooks, case studies, reports, etc. Contact us here if you'd like a FREE MARKETING REVIEW or would like to schedule a free 15 minute consultation. Have a marketing project? We'd love to help!